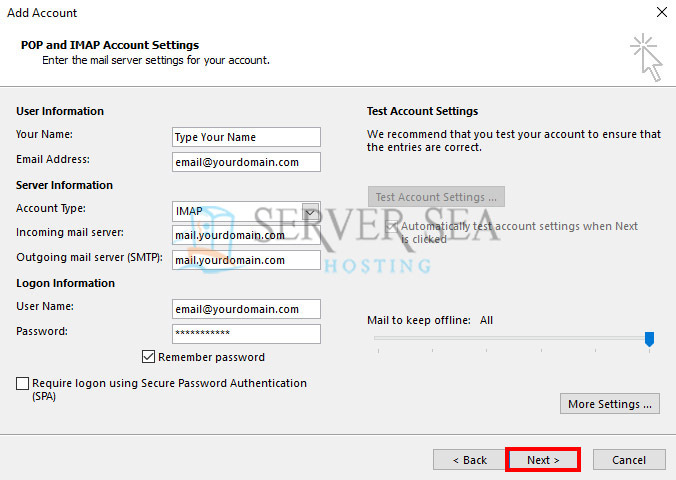 In this article you will learn that, how to configure your email account on Microsoft Outlook using IMAP. 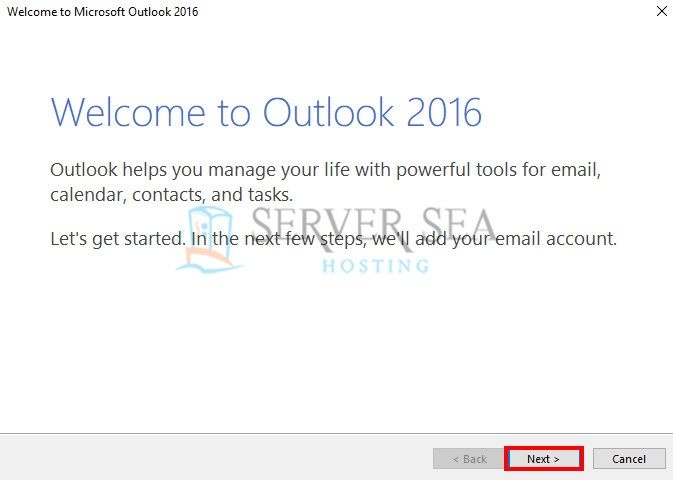 Get started with Outlook 2016 by clicking Next button. 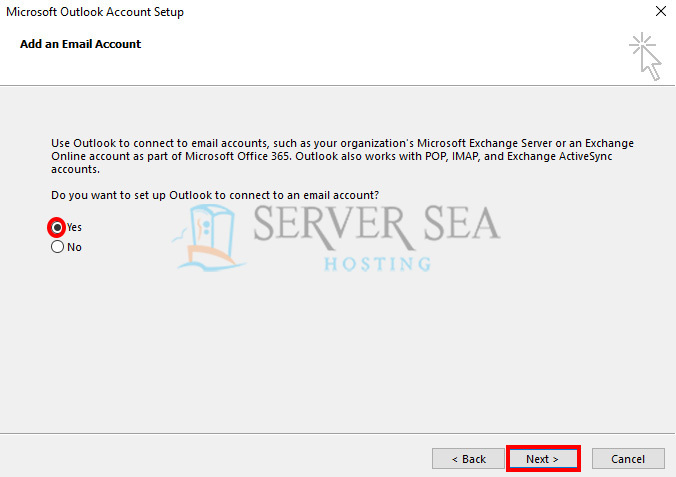 You will be asked, "Do you want to add an email account for Microsoft Outlook" Select "Yes" and click Next. Click "Info" and then click "+ Add Account" button. Step 2. 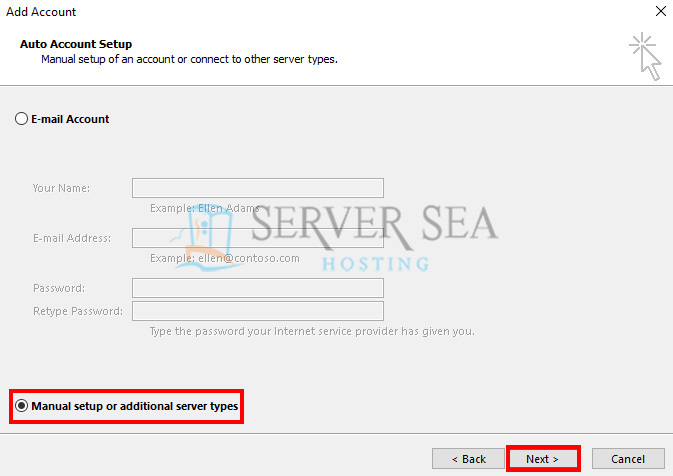 Select "manual setup or additional server types" and click "Next" button. Step 3. 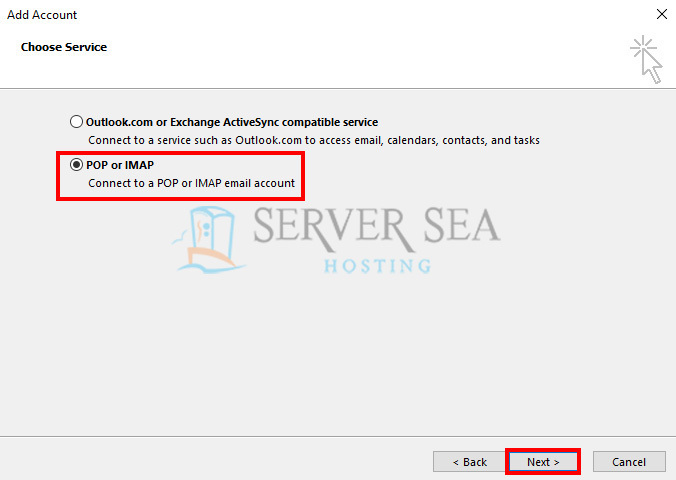 Select "POP or IMAP" option and click "Next" button. Step 4. Fill the required information and Click "More Settings". Password: Use the email account's password. Step 5. 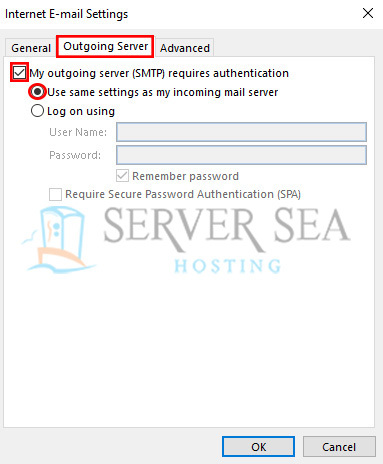 Under More Settings, Click on "Outgoing Server" Tab. 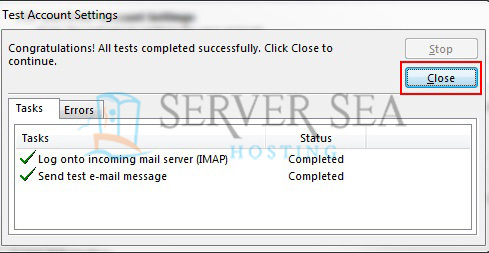 Check on Use same setting as my incoming mail server. Step 6. Click on the "Advanced" tab. 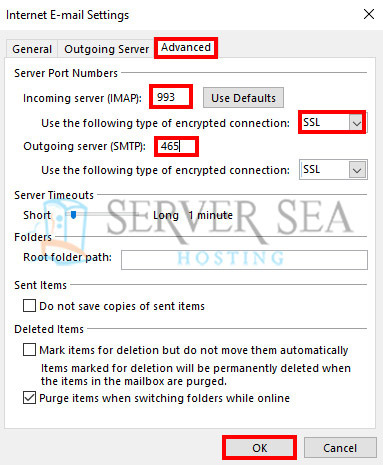 Select SSL from "Use the following type of encrypted connection"
Step 7. Click Next button. Step 8. 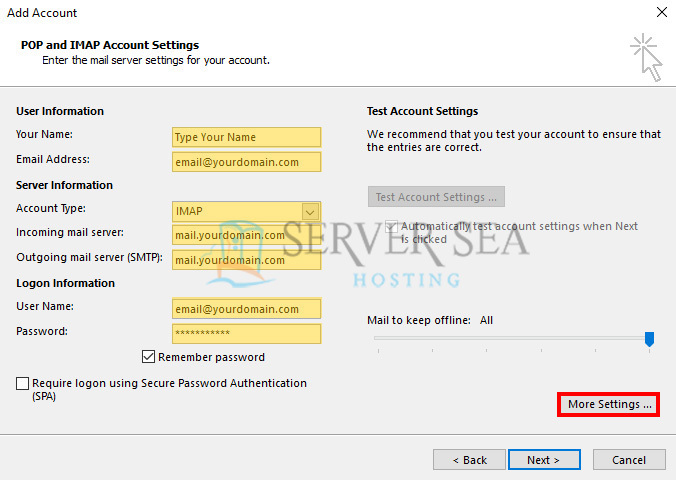 A popup window will appear for test account settings, click Close button when completed. Step 9. Congratulations. You have finished the setup of your email account. 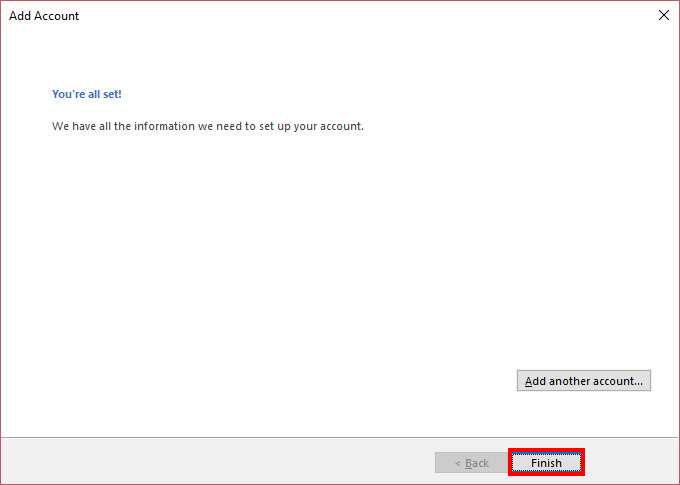 Click "Finish" button to close the setup wizard.